Our 28th Wedding anniversary was May 17th. We would be again celebrating in the valley and planned to stay in Sonoma for an extended weekend, which included a visit to Verite, my favorite in Chalk Hill. We tried to pack light, but of course had a few bottles to take home so we spent a little time shuffling items within our suitcases to keep the bags under the weight limits. We were looking forward to the trip and decided to have a glass of wine to settle down for the night while packing. 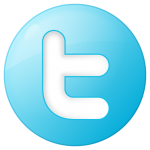 Sorry no picture. The Onyx wine was deep and a purple hue. This wine was very aromatic, young-fruity. I could smell vanilla, spice, sweet red fruit, a slight smoke. Slightly dry, full-bodied, and the acidity was lively with medium to soft tannins. Tasting the Onyx I felt deep rich mid-palate flavors with a medium length finish. Blend: Merlot, Tannat, Malbec, and Cabernet Sauvignon. The 2011 Onyx is a limited release for wine club members only. 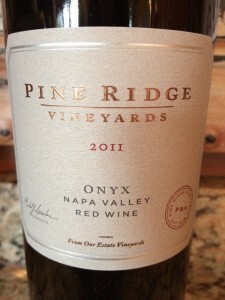 I rated the 2011 Pine Ridge Onyx three glasses.